Although the year this model was first produced is not known, it was edited by the Atelier de Barye in beginning in 1870. 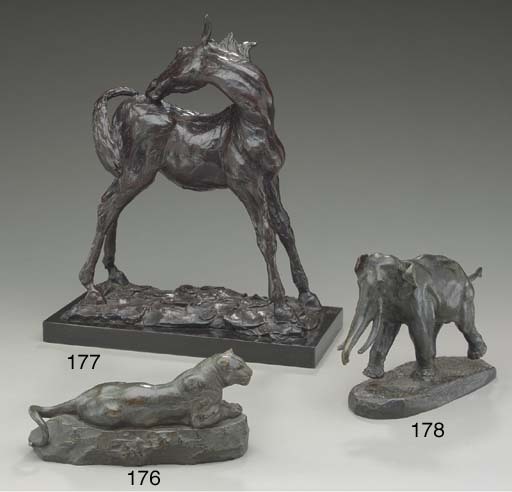 The bronze modèle was acquired by H. Brame at the 1876 Barye atelier sale (no. 675) and edited in large numbers by Brame soon after. It was subsequently acquired by G. Petit, purchased from the latter's 1884 sale (no. 48) (M. Poletti & A. Richarme, Barye. Catalogue raisonné des sculptures, Paris, 2000, No. A118, p. 250).